The Edward and Mary Wilder Society recognizes library donors who have made a planned gift, or an annual lifetime gift to the Library Foundation to support the Topeka and Shawnee County Public Library. These gifts demonstrate an abiding commitment to the library’s mission and provide an enduring benefit to generations yet to come. To notify us of your plans or if you have not already made arrangements, please contact us and we will be glad to talk with you about your plans. Your gift is your personal legacy. There are no predetermined amounts. Generally, outright charitable bequests, whether given in the form of cash, securities or properties, are fully deductible from your gross estate, thereby reducing estate taxes. You are encouraged to consult with your attorney to ensure your will is legally valid and effective in carrying out your intentions. If you are interested in becoming a Wilder Society member or would like to learn more, please contact us or complete and return the Wilder Society membership form. If you would like to be invited to the annual Wilder Society Tea held each spring, just let us know and we will invite you. For planned givers – No minimum gift amount is required for membership. Any planned gift qualifies. A percentage amount of your estate is also accepted. Gifts of assets such as appreciated stock, real estate, life insurance and tangible personal property (fine art) qualify as planned gifts by virtue of their dollar value. For annual lifetime givers – An annual lifetime gift significant for the donor qualifies for membership. The amount specified can be contributed annually for the duration of your lifetime. Who can leave a legacy? Anyone. You do not have to be wealthy or of a certain age to leave a meaningful legacy. Anyone can make a planned or annual gift regardless of the dollar value. You leave a personal legacy that inspires others. You join a community that shared a passion for the library’s mission. You enjoy the knowledge that your gift helps ensure the library’s excellence for future generations. You will be recognized at the annual Wilder Society Tea. I give to The Library Foundation, a Kansas non-profit corporation, 1515 SW 10th Avenue, Topeka, Kansas 66604-1374, (Federal Tax I.D. #48-0956441), the amount of $________ or ________% of the residue of my estate for general purposes. Unrestricted gifts allow The Library Foundation to build funds to support the changing needs and future initiatives of the library. 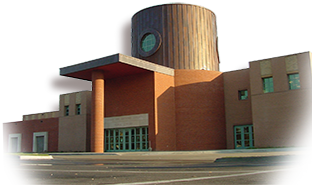 Restricted gifts can be directed to remain consistent with the mission of the Topeka and Shawnee County Public Library. Private philanthropy has always played an important role, and the Topeka and Shawnee County Library has received many beautiful and unusual gifts. Early benefactors Edward and Mary Wilder helped raise the funds to build the first permanent library in Topeka. The Wilders made a lifetime commitment to the library that still delights visitors today. The Wilders were community leaders. Edward was employed as the Santa Fe Railroad’s treasurer. He was elected as president of the Topeka Library Association in 1874, a position he held until his death in 1905. In 1880, he raised funds for the new library from the Santa Fe and Union Pacific railways and matched these with donations from individuals. The Wilders were generous donors of contemporary art collected while traveling in Europe. These memorial gifts created the first public art collection in Topeka. By confirming their long-term commitment, the Wilders helped ensure the continued preeminence of the library in our community.